What about Lothar KOBLUHN? 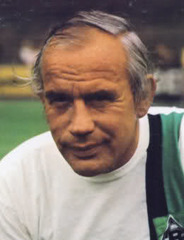 Bundesliga top scorer in 1971 as a midfielder and the main reason why Oberhausen could play four seasons in the Bundesliga. He could at least be part of the reserves here..
Added, here's the also two links about him.. I'd just put Jupp on the left side and KHR on the right.. Someone could put the missing links of the following players? Namely Sammer, Hassler, Effenberg, Reuter, Lahm, Klaus Allofs, Toni Polster, Kirsten and Makaay. Thanks. Are we sure that Lewy is "good" enough to be mentioned here? 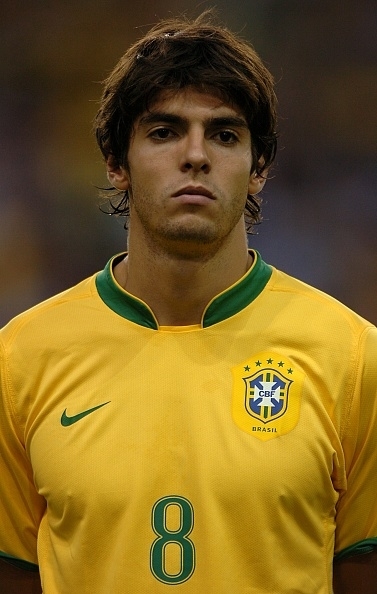 why Ze roberto not here? 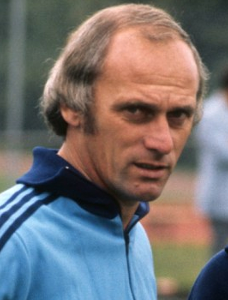 I suggest add Fritz walter in first team. No, he didn't play in Bundesliga.